For the second season, Instinct is the partner of Playtime Paris. We are delighted of having set up the Maternity Trends for Fall Winter 18-19. Visit us and discover our special set design, a Trend Shop created by the paper artist Audrey Gautier, on booth S06, in front of the Crea.tif space. We are looking forward to chatting with you while drinking a delicious infusion by Chic des Plantes ! 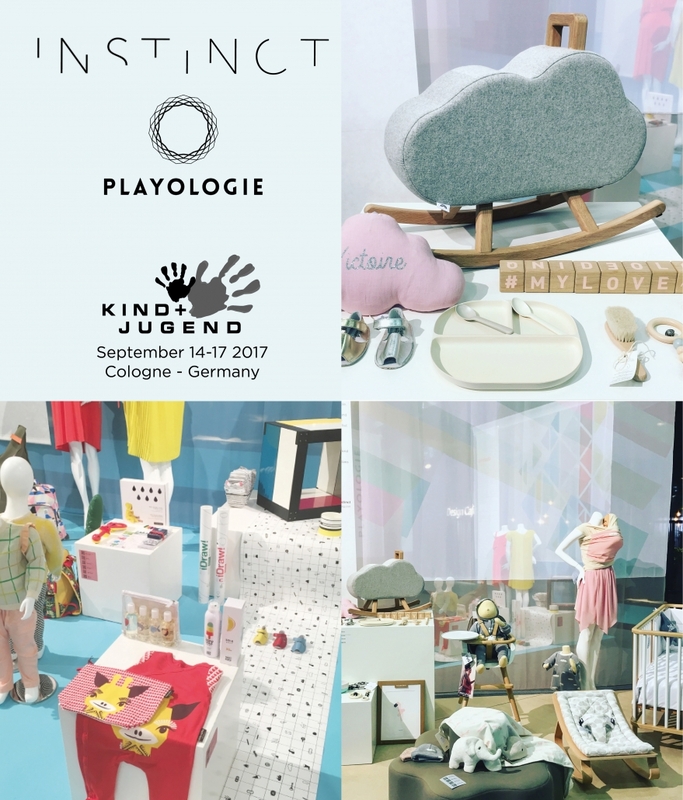 Instinct was invited by Playologie to set up a trendspace on the childcare fair Kind + Jugend, from 14 to 17 September in Cologne. Warm thanks to the brands who lent their beautiful products and to Playologie’s team ! 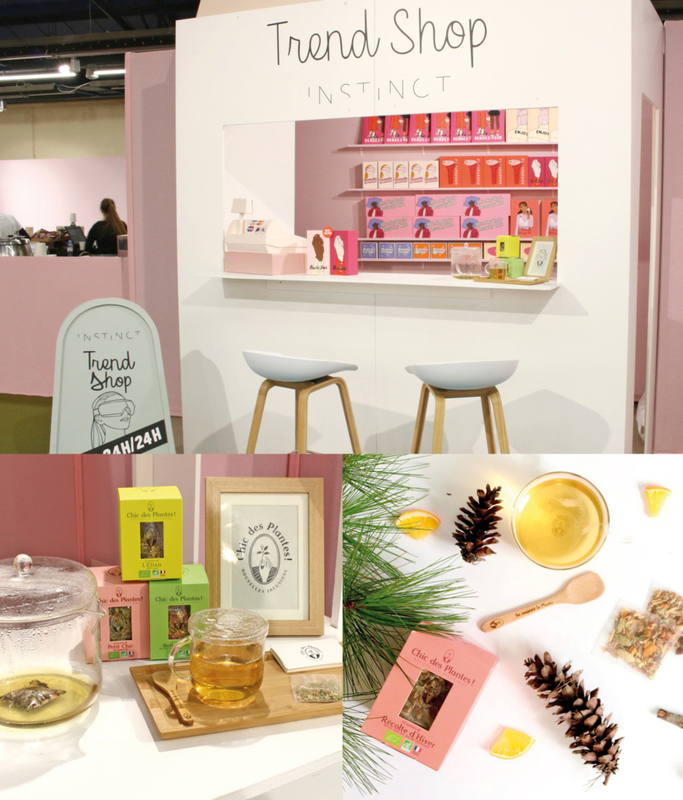 Discover Teapigs our tea firm favourite & partner for our Instinct Trends’Bar during the Playtime Paris. A high quality tea with original flavors in a cute & graphic packaging. 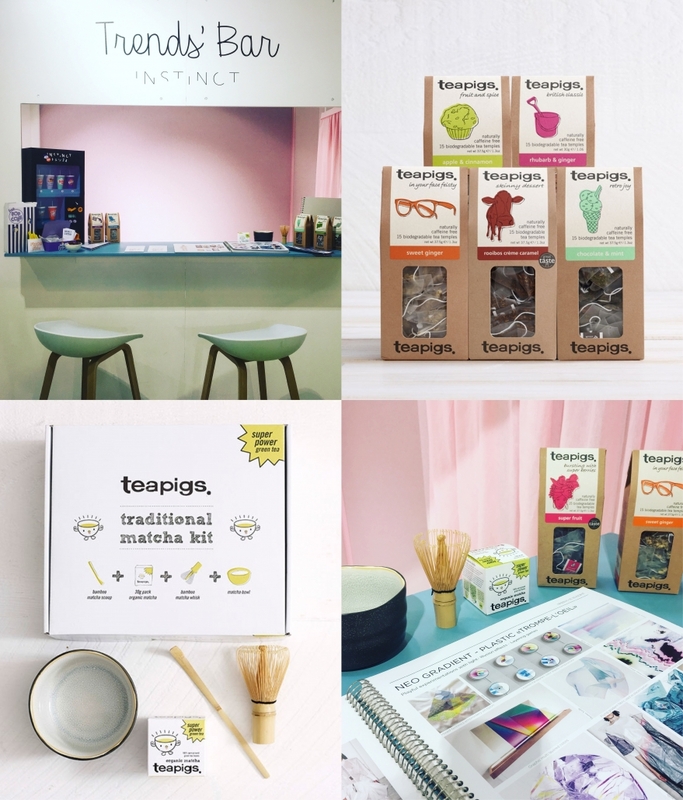 Thank you Teapigs & Lisa Kajita agency. Here at Instinct’s, we are great admirers of Wolf & Rita and its accurate arty spirit. 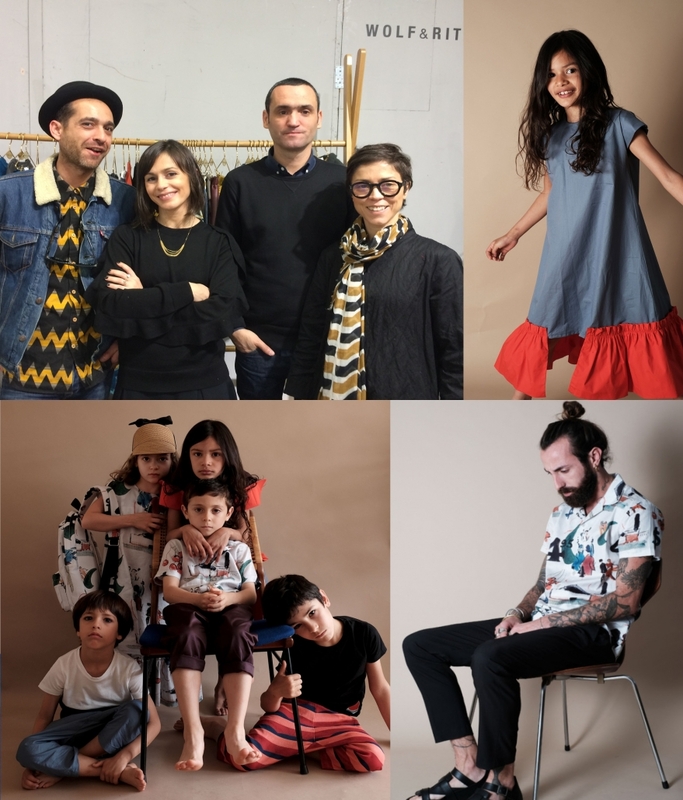 During last Playtime Paris, we could have a chat with Claudia and Sonia Rocha, the co-founders of the brand. Warm thanks to them ! Instinct : Could you tell us about the mood of Wolf & Rita SS17 and FW17 collections ? Claudia : For SS17 season, we had a collaboration with Jean-Charles de Castelbajac. It was amazing : his team allowed us to look into the archives and make a selection of favorites ! Our SS17 collection pays tribute to Louise Bourgeois and the FW17 collection is inspired by 3 artists : John Baldessari, Shoji Ueda and Eduardo Matos. We are inspired by artist’s works and art of living. We love playing with art references. This is part of our DNA. Instinct : Yes, your themes and prints are always surprising, full of visual inventions. Your colour ranges are very original too ! Claudia : Probably because we are very free when designing our collections : we like to surprise ourselves and create something new out of the creations of these great artists we get inspired! Claudia : I work on the creative part in tandem with Carlos, our photographer. For example, for FW17, I painted some peanuts and Carlos took a picture of them. Then we rearranged it to create an all-over print. Sonia deals with the commercial activity. Our dad continues working in his shirt factory; he doesn’t properly work with us. Instinct : What is your feeling about fashion industry these times : whereas brands are more and more conscious of the waste caused by fast fashion, few of them seam to really take account of the emergency. Most of the time, greenwashing is the only response. Do you see any rays of hope ? Claudia : Yes, for sure. I have the feeling that more and more brands are concerned with environmental and social issues, and are actually involved in ethical and transparent processes. Hopefully they’ll become drivers for the whole textile industry. 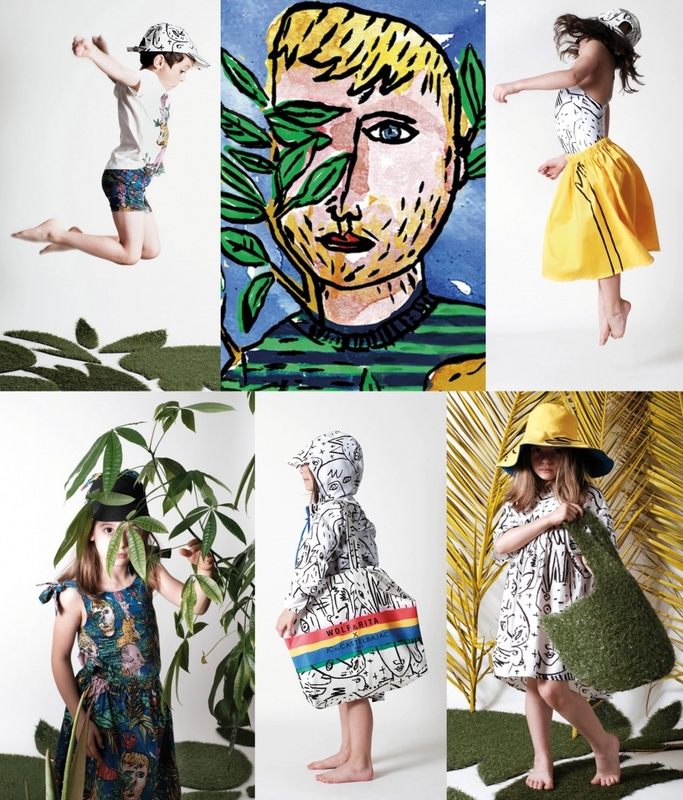 Instinct : New brands (especially for kids) have been blossoming recently in Portugal. There seam to be a new energy here. Claudia : A lot of brands come to Portugal because they are concerned with good work conditions or because they don’t want their production to be done too far. It’s easier to stay close to check all the steps of manufacturing. Even if the prices are a bit higher, Portugal is pretty attractive and there is a genuine savoir-faire here. This can be one of the reasons why new brands set up here. Claudia : Yes, indeed. Everything is done the most locally possible. The knits for example are made 10 minutes from our headquarters. It’s a choice : it’s important to us to support work in the area we live; preserving jobs is a key to create a dynamic for all the social life around. Instinct : Who are the children of your lookbooks ? Claudia : They are the kids of the family. They are the first users of the clothes, so they test their comfort and the wear-resistance of the fabrics ! Instinct : And it’s very nice to see them grow up through your collections ! Last question : You just launched a Man / Woman capsule. New perspectives for Wolf & Rita ? Claudia : The main focus is and will be kidswear. But we want to bring some novelties every season. It could be homewear, Man and Woman. We will try to have news for our customers every season. 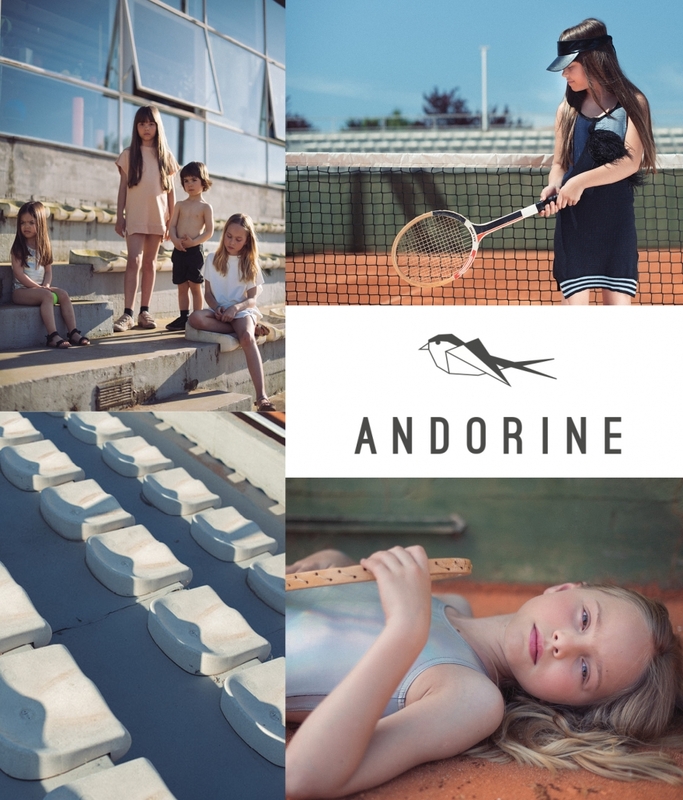 Andorine is a luxury lifestyle brand for children born in 2015. We love its sophisticated materials, its mysterious universe, its dreamlike stories taking us on different journeys each season. During Playtime Paris, we were lucky enough to meet Maria Lito, who founded the brand with Luisa Amorim. Thanks a lot Maria for this so nice moment ! Instinct : How do you imagine your collections ? Maria : We develop our collection, our own collection : we try to follow trends, colours, of course, but we try to create our own identity. There is a team of designers and Luisa & I coordinate everything. 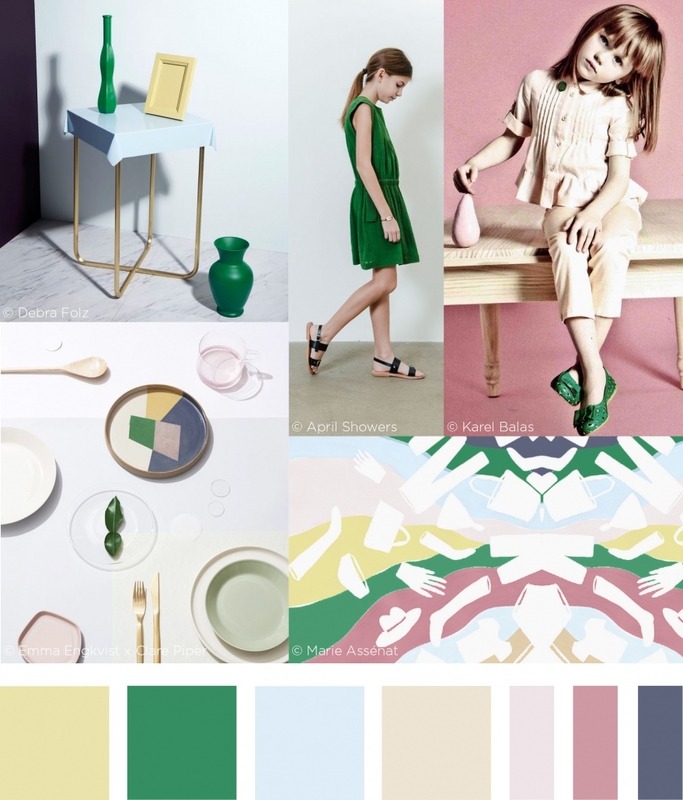 We start with a moodboard where we choose colours, samples of fabrics. Every season is built on a story : for FW17 it is “The Song of Winter”, a sweet tale in Russia. Instinct : How is structured the work between Luisa and you ? Luisa runs a winery, so how can you deal with both activities ? Maria : It’s not easy to do everything, so we share the work : I am more into the creative part, Luisa is more into the contact with the agents and the commercial part of the business. Instinct : You worked as an architect for many years. How does this influence the way you design clothes ? Maria : As you can see, our designs have a simple architecture : they are pretty neat and accurate in terms of shape. I like to focus on striking fabrics and unexpected details to give the clothes a soul. Instinct : Could you tell us how you chose your manufacturers ? Maria : We design and produce everything in the North of Portugal. We have all the skills here and the printers are most of the time a lot better than in Asia, so there is no reason we should go elsewhere ! We are close to the factories, which means time saving, less pollution and no taxes to pay due to transport. We visit every factory we work with. We present here our 3rd collection, so we know each other better now and the collaboration is fluid. Instinct : Is the economical context getting better in Portugal ? Maria : I think it is, yes. In the textile industry, after difficult years when many production lines were transferred to Asian countries, lots of brands come back to Portugal now because they don’t have quality problems and because it’s easier to follow the whole process from creation to final product. And it’s not much more expensive. The question of price, which was a problem before, is not anymore. This decision is positive in Asia too because it encourages Asian textile industry in the direction of thoughtful design and production standards raising. An other positive sign is that although Portugal is not well-known for design, new brands with a sharp design are appearing these times, which draws the whole industry upwards. So I think we are gaining strength again. Instinct : Do you see any signs of changes around you : are customers more and more asking for sustainable or eco-designed products? Maria : Yes, definitely ! More and more people are aware of environmental issues and labour conditions, and they know their decision of purchasing or not a product has an real impact. This is not the only reason why people choose Andorine’s clothes -there are many factors of course- but we believe that our way of producing is important to them. We are proud of this. 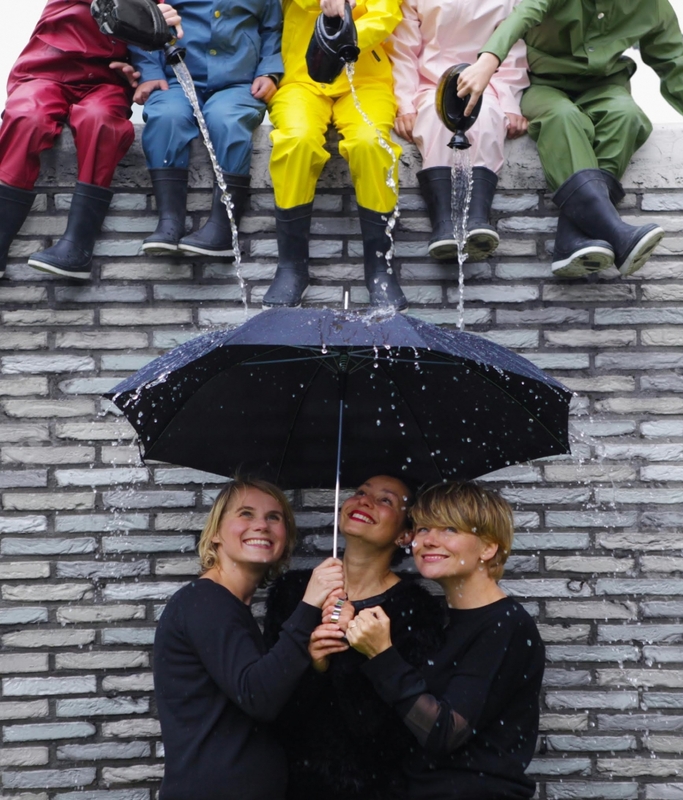 Huge crush on Gosoaky, the joyful and sustainable rainwear brand ! We met Gosoaky’s loveable owners during Playtime and had a very pleasant chat with the head designer Urs Hasham. Read it below. Warm thanks to Urs, Johanna and Fleur ! Instinct : Gosoaky’s first collection was launched last year (for spring summer 2016). How is it going today? Urs : It’s going pretty well ! We are now present in 200 shops around the world (Australia, Japan, South-Korea…) and very happy to see that more and more people like our products ! Instinct : “Elephant Man”, “Crouching Tiger”, “Hidden Dragon”, “Roger Rabbit”… Your models are named after films. Could you tell us the story behind this? Urs : I just wanted to name our items after something boys and girls both like. So Car names or names of princesses were no option and since our totem is a Penguin (called Mac) I thought it was best to use animal names… and I added a little twist to make them a bit funny and in the same time to give the items their own idendity. The fact that some of them echo to films is not that important to me, I just wanted names that kids would love… and they are ! Instinct : We love the simplicity and the freshness of your designs (especially the bright bold stripes !). How do you imagine each collection : is there a theme, a guiding thread when deciding about the colours for example? Urs : There is no special theme actually, the work is very intuitive! I like simple designs and prints, sheer lines: this is what I stick to and this is what became our brand’s handwriting. About the colours; there are no rules for those either. I choose the ones that I feel are best for the fabrics we use, and are sophisticated. The idea is to keep on innovating with simple clean designs…The gradient styles of SS17 collection are inspired by pack ice, where our totem animal lives. Instinct : Could you tell us more about Gosoaky SS17 and FW17 seasons ? Urs : The transition between each season is pretty smooth. We improve our collections, seeing them mostly from a practical use viewing angle. I pay a lot attention to details: adjustable straps for example hidden in the hood’s casing instead of strings and stoppers, to avoid children’s strangeling 🙂 For the winter collection we have very cool reversible jackets inside some of our styles, (4 jackets in 1) which make them warm and customizable. We also have some new developments like waterproof sweat material in grey heather and we turned the classical pinstripe into a reflective pinstripe for child safety. Instinct : Gosoaky is committed in environmental care and concerned about good work conditions. Could you share your experience : was it a big challenge to find your partners and set up a “clean” production line ? Urs : It was not so easy to find them. But with our long background in fashion we found some good factories where the working conditions are good and where the workers even go home for lunch with . About materials : not all the materials we use are “green”, as it is very difficult for waterproof fabrics. We should use more recycled textiles and try to go in this direction. We do have a new development for our puffer jackets: we now use an eco-friendly product for the filling, which is soft, fluffy, warm, breathable, quick drying and 100% biodegradable! Instinct : From your customers’ feedback, do you know whether this commitment is decisive or not in their act of purchasing ? Urs : Yes, it is. People like the models for themselves, and are specially proud of taking part in a worthwhile cause. We get so many kind messages from customers, this is very stimulating. Instinct : Your universe is dedicated to the joys of singing in the rain and jumping in puddles… any items for adults who never lost their inner child (or for badly wet ones) ? Urs : We received a lot of demands for grown-ups… and yes, now we have adult styles too! Instinct : Your wishes for 2017 ? Any new projects for or beside Gosoaky ? Urs : We are 3 owners; in total 5-6 people working in the studio so developping Gosoaky is a full-time adventure….so no time to do any new projects although my head is filled with new ideas we could do as a team. So who knows ?! 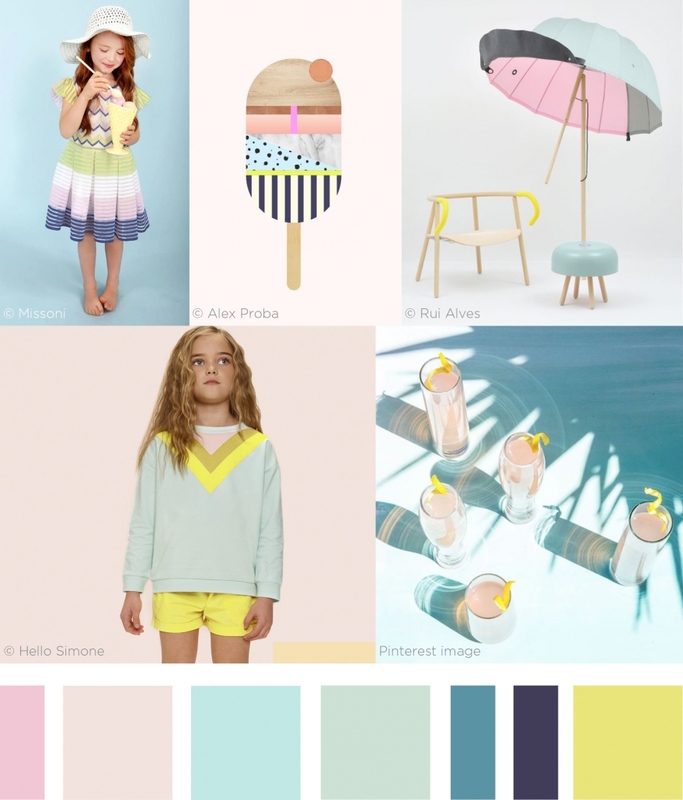 Around an acid yellow, pastels renew the beach spirit for a both soft & sparkling harmony. Indoor, the yellow and ficus green structure a tender minimalism.